Welcome to Healix Enterprises, a Custom Design and Manufacturing Company. 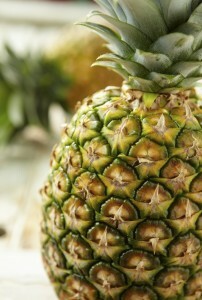 Established in 1989, our main business is manufacturing the E-Zcut II™ line of pineapple peeling and coring machines. Since our founding, we have supplied an array of products to many of the world’s supermarket chains and food processors. We are also your one-stop custom design and fabrication company. Other grocery chain and food processing products we design and build, are Deli Bag Dispensers (all stainless), Pineapple Boaters, and HDPE Cutting Boards. We also manufacture custom designed blades and machines for the edible bouquet industry. Healix Enterprises is truly a custom design and fabrication company. Our specialty is limited production custom fabricating. Using us as your custom fabricator allows you to deal directly with the manufacturer. • Complete machining of steel, aluminum, brass, plastic, etc. Healix Enterprises Inc. is your best one stop design and manufacturing company. Jeffersonville, Indiana 47130 USA .